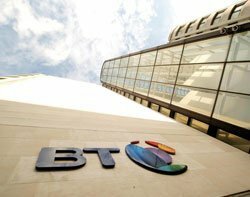 BT is to cut its IT spending by 20% amid growing concern over the impact of the financial downturn. CEO Ian Livingston said he had asked his chief information officer to cut a fifth from his IT budget while at the same time asking him to deliver a more flexible, scalable IT infrastructure. "Everyone else (I speak to) is, so why should I be different," he told delegates at the Gartner symposium in Cannes yesterday. His comments came after BT's share price dropped 30% following warnings that its Global Services division, which provides about a third of BT's sales, wasn't doing as well as expected. Livingston confirmed that BT's decision last week to replace Global Services head Francois Barrault with Hanif Lalani, BT's former chief financial officer, meant a sharper focus on cost-cutting. But he said it did not mean that BT was giving up its basic plan to become a services provider rather than a telecommunications provider. Global Services had grown 15% in the last quarter, but because prices had dropped, BT had to cut costs more quickly. BT would rely on IT to make the savings happen, he said. "We should all work on the basis that it's going to be very tough," he said. BT was starting to use Web 2.0 technologies such as collaboration tools to improve internal efficiencies, he said. But it wasn't something you could force on people. People needed to find their own way to use the tools, and they would discard anything that was irrelevant to them, he said. BT was also saving hundreds of thousands of pounds by using videoconferencing. This had the added benefit of being greener than air travel. "If it's good for people, the company and society, why not do it?" he said. Meanwhile, BT has sold 30% of its South African subsidiary to a local investment company, Sekunjalo Investments, for £1.76m, financed by BT. The telecoms company said the deal showed its commitment to supporting black economic empowerment. BT has been present in South Africa for more than 16 years and has more than 300 clients, including several local multinationals.